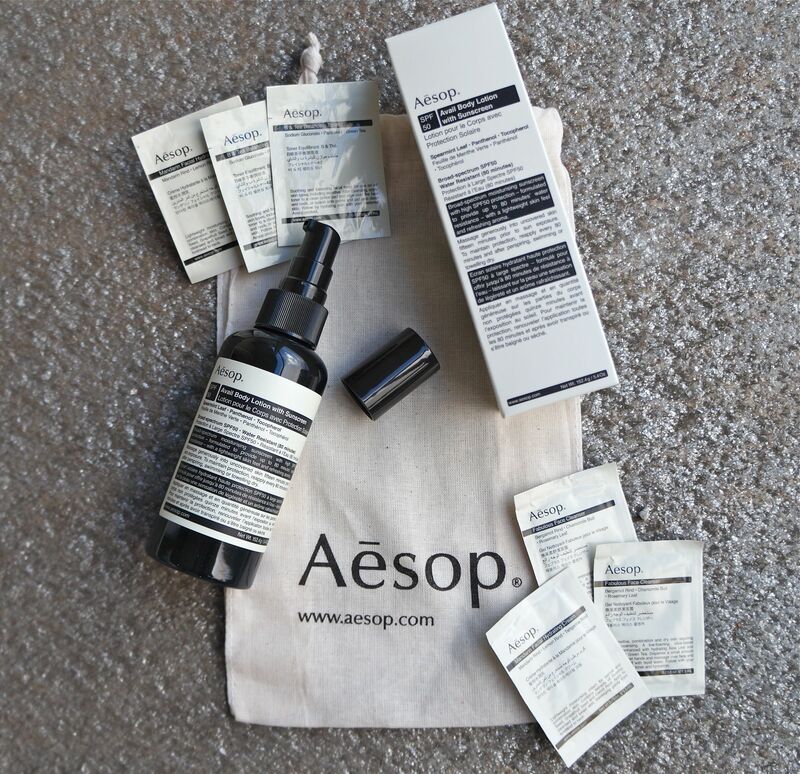 This past weekend I was out shopping and happened across a brand new little shop that popped up in my neighborhood called Aesop. Now I want to say that I’ve seen this brand at Barney’s before, but I’ve never seen a stand alone store. So I was super eager to check it out. I mean let’s face it, if there is some new beauty product or brand out there…I will try it! I really wish I would have taken a picture while I was inside the shop to share with all of you because they had all of their products displayed in such a clean, minimalist fashion…which I loved! And they have little sink stations set up throughout so you can test the products right then and there. Now I really don’t need to buy any new serums, facial washes, or face moisturizers…I have a small stock pile that could probably last me the next two years. So I thought I would test out their Body Lotion with Sunscreen SPF 50. I loved how quickly this lotion absorbed into my skin and how I wasn’t left with that typical “tacky” sunscreen feeling afterwards. I am planning on using this on my hands every morning before I head out for the day. Little known fact about me: I am deathly afraid of developing sun and age spots on my hands. So I am hoping that by applying sunscreen to my hands everyday I will help avoid those pesky little spots!! I will have to let you all know if I end up going back and purchasing any other products. And let me know if the comments below if any of you have tried out this brand before and what product(s) I should try out next! Next Next post: Welcoming the Fall Season with Open Arms!! !